Diana Ross is known in almost every part of the world as one of those singers who seem to have always been there and will always be. Also a record producer, the Grammy-award winning singer, Ross has also made appearances in a number of movies and TV shows. However, it is her work as a singer that has caught the eyes of the world, but apart from that, she also has a very interesting personal life. When she was at the Cass Technical High School, the woman who has come to be regarded as one of the most successful female singers of all time had the ambition to become a fashion designer. Nevertheless, it was her music which she began at the age of 15 that presented her to the world as a gift when she became a part of the Primettes. The group which was made up of Florence Ballard, Mary Wilson, and Diana Ross was later signed by Motown Records and its name was changed to the Supremes; they would go on to be regarded as one of the most successful American vocal groups. The group started in 1959 and lasted until 1977 when they officially disbanded after a farewell concert. Long before the group was over, Diana Ross had taken up a solo career with the release of her first album Diana Ross in 1970 which was certified Gold in the US and UK and was followed by a second in the same year titled Everything Is Everything. Before the 1990s, she had already released as much as 18 albums including Diana (1980), The Boss (1979), and Baby It’s Me (1977). The 1990s saw her releasing other powerful albums including The Force Behind the Power (1991), A Very Special Season (1994), Take Me Higher (1995), and Every Day Is a New Day (1999), and in 2006 she released two more albums, Blue (2006) and I Love You (2006). With 4 Grammy Awards and many more nominations, she has also won many other awards for her music including the Golden Globe Awards, Soul Train Music Awards, and she was recorded by the Guinness Book of World Records in 1993 as the Most Successful Female Singer of All Time. Diana Ross has been inducted into the Soul Train Hall of Fame (1996), Songwriter’s Hall of Fame (1998), and BET Walk of Fame (1999). As an actress, Diana has appeared in a number of productions including The Danny Thomas Show, Tarzan, Out of Darkness, and Double Platinum in which she acted alongside Brandy. Diana Ross has been married twice. The first man she tied the knot with was Robert Ellis Silberstein in 1971. Before the two got married, Ross became pregnant for the founder of Motown, Berry Gordy, but had the child, a daughter she named Rhonda Ross Kendrick after she was wedded to Robert. He did the honorable thing and took her as his daughter. Unfortunately, even after having two children together, the marriage finally came to an end in 1977 when Robert Silberstein divorced the singer. In his grievance, Silberstein said the singer belonged to Motown. Although the divorce was rough for Diana, the two still remained very close. The next man who would become the husband of Diana Ross was Arne Næss, Jr. who was a Norwegian businessman. The two first met in the Bahamas in 1985. Just a year later, they decided to become man and wife making the singer a stepmother to Arne’s 3 children. Their first child together, Ross Arne was born in 1987 while the second, Evan Olav came in 1988. Although it was Næss that Diana considered the love of her life, their marriage ended in 2000 in a divorce. Unfortunately, the Norwegian billionaire, Arne Naess, lost his life in 2004 after he fell off a mountain in South Africa where he was mountaineering. 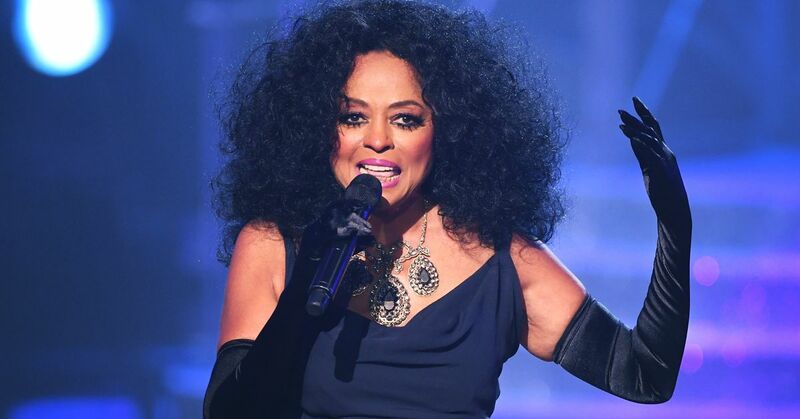 From her relationship and marriages, Diana Ross has 5 children including Tracee Ellis Ross who is an actress, model, and a comedian, Evan Ross, who is an actor and musician, and Rhonda Ross Kendrick (also a singer and actress). Others are Chudney Ross and Ross Naess.